A talented field of 10 sophomores will vie at Gulfstream Park on Saturday in the $350,000 Holy Bull Stakes (G2). 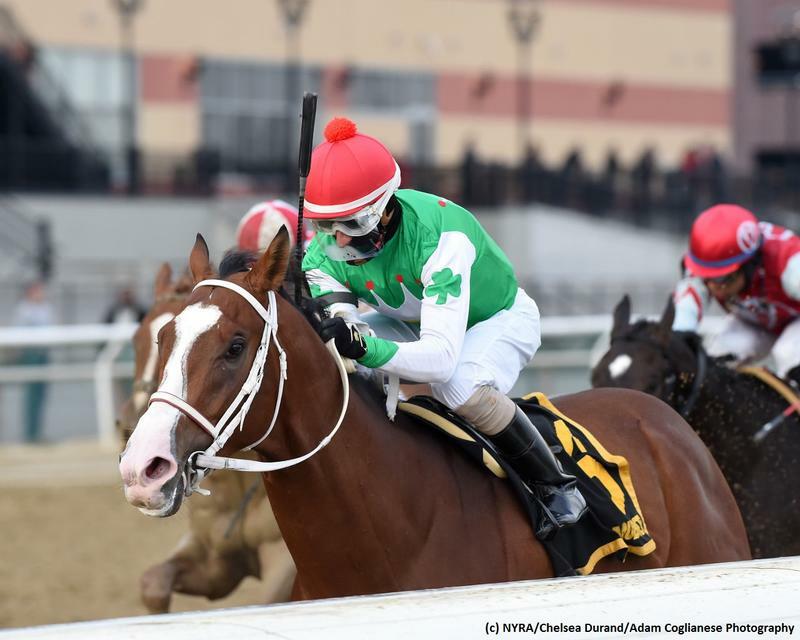 The Road to the Kentucky Derby event is led by unbeaten Grade 2 winner Maximus Mischief, though the field is full of promising prospects. FREE PPs for the Holy Bull Stakes courtesy of Brisnet.com! This Florida-bred colt draws well inside and comes into the race with a pair of stakes wins on the oval. The talented sophomore also finished second at the distance against stakes competition and was a respectable third in the Mucho Macho Man Stakes in advance of this one. The contender will never be far back while stalking the pace. The unbeaten prospect made good in his first race since being acquired for a hefty $650,000 in November. The Todd Pletcher trainee was game in a recent allowance coup and shows a pair of bullet morning drills since. The Kentucky-bred picks up Javier Castellano for his stakes debut. The sophomore colt comes off of an even finish when sixth while favored in the recent Springboard Mile Stakes. The $185,000 two-year-old buy has shown a lot of improvement and figures to move forward here. The dark bay loses Javier Castellano but picks up Eclipse Award-winning pilot Irad Ortiz Jr. The Kentucky-bred has been trounced in his trio of graded tries to date. The $47,000 yearling purchase was a distant fourth with allowance foes at Gulfstream Park most recently and he would be a big surprise in this strong field. This recent maiden hero has been a consistent performer to date and owns a trio of runs at 1 1/16 miles under his belt. The sophomore colt has trained swiftly on the surface and he will likely get a swift pace to aid his late run at a price. This improving prospect ran down a clear one en route to a game win in the Mucho Macho Man Stakes here last out. The Kentucky-bred has moved forward with each lifetime outing and will have John Velazquez in the controls for the initial time. The bay is an obvious prime player in the field. Lightly raced sort was a superb maiden winner in a second lifetime showing and could be any kind going forward. $335,000 yearling purchase led throughout in a strong local showing in preparation of his first try with winners. Interesting prospect will be in the mix early once again. This horse to beat has yet to be headed from a trio of stylish lifetime performances. The colt answered his distance test in the Remsen Stakes (G2) most recently and is training swiftly in advance of his three-year-old bow. The $340,000 juvenile purchase will team with Jose Ortiz for the first time. This eight-race veteran brings speed to the fray but the form is lacking, evidenced by a pair of last-place finishes in succession. The all-or-nothing type will face early pressure in this one and he would be a shocker to finish in the top three. The three-year-old has been last in each of his two prior runs at Gulfstream Park. The speedy maiden has missed by a head and a neck from a pair of career sprint races to date. The gelding adds blinkers on the barn change, though he hooks a fine field combined with drawing the widest post. The Kentucky-bred will be sent early to try and lead the field from the opening bell.